47s and other Classic Power at Southampton: 28th November - 4th December 2010 - Winter Arrives! 28th November - 4th December 2010 - Winter Arrives! 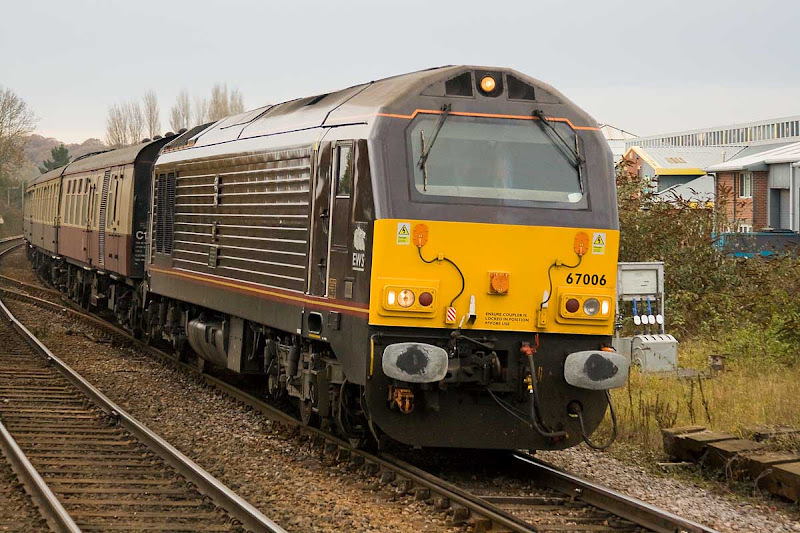 67006 Royal Sovereign passes Romsey with 5Z66 ECS from Exeter to Eastleigh, 28th November. 47500 is now in Scotland T+T with 55022 heading for Dundee, where ScotRail cannot offer any reasonable service frequency, even in a thaw, because so many of their trains are unserviceable.